Two festivals, both considered as important events in the Odissi calendar of performances, were mounted on 18th & 26th December 2010. 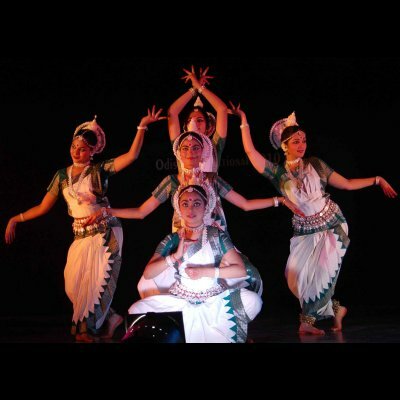 The Odissi International Festival was presented at Utkal Sangeet Mahavidyalaya auditorium while the National Festival of Dance and Music 2010 was held at Rabindra Mandap. An overview of both these festivals is necessary since these events have thrown up a number of interesting questions, and even some critical ones. Remember these are peak of the season's festivals and naturally expectations were high. Both these festivals were five day affairs and the second started within a few days of the first. The packing together of long duration festivals so close to each other naturally produces a degree of saturation which Odissi's captive audience can do without. There are any number of festivals purveying Odissi of one sort or the other, almost on a daily basis. Audiences are obliged to visit these for a variety of reasons. Hence it is expected that the peak season festivals are arranged in such a way as to give some space to the dedicated section of the Odissi audience in Bhubaneswar. Too much of a good thing is not necessarily sensible when one is thinking about Odissi dance having to fight its way into a niche that it deserves. The explosion of other forms of entertainment, television or staged, has already mounted an assault on the sensibilities of the dance enthusiast. That classical Odissi should not contribute to this media satiation is certainly something that Odissi organizers need to think about seriously. Another factor that plays heavily on the mind of the audience is obviously the selection of the dancers and accompanying musicians. When festivals become so broad-based that the quality of the artiste flies out of the window, it might lead the audience to wonder why they have bothered to come in the first place. If we are to engage in creating a healthy and sizable 21st century audience, we do need to take great care in installing a feasible benchmark to judge the quality of festival artistes and musicians alike. While there is understandable eagerness to provide a platform for young, for upcoming, and for little known dancers, the artistes who are presented in major festivals do need to have a certain quality of performance, stage presence and demonstrate that they have been in talim (practice / training). Top of the line artistes are those dancers who engage in regular practice, and not merely those who leap into a flurry of activity a few days before a festival. A sequence of quality performances enhances the reputation of the festival, and a slot in a festival can only be useful to an upcoming dancer if the said festival has some reputation to speak of. A platform is just a platform and not really a launching pad of any consequence. It is pleasing that journalist Shyamhari Chakra (Shyamhari babu to us) showed commendable energy in almost single handedly organizing Odissi International Festival 2010. So also did Sangita Gosain who worked relentlessly to produce the National Festival of Dance and Music 2010 on behalf of the Guru Kelucharan Mohapatra Odissi Research Centre. Both these festivals were run smoothly; the enthusiasm of the participating dancers was a just reward for the sincere efforts put in by the hosts. Both these festivals are young: Shyamhari babu's is a maiden venture and the GKCM ORC festival is just a few years old. The lessons learned from these experiences could be a very useful tool for the future - in the careful and studious planning, in maintaining the quality of selection and specially in controlling time overruns in the performances themselves. Almost every artiste exceeded the time allotted and the clubbing together of Odissi music presentations with the dance performances (in the GKCM ORC National Festival of Dance and Music 2010) seemed to naturally cause the delays. It might be a good idea to separate the music and dance performances into two festivals; since there was hardly any audience left in the concluding part of the daily dance programme, the artistes performing last could not have had much joy in their souls. While the organizers need to look at this particular issue carefully and pack in a reduced numbers of dancers, our home grown audience also needs to be a little tolerant of this lapse. Members of the audience could perhaps be a little kinder to a dancer waiting for the whole evening to perform for them. After all, the dancer is showcasing our finest traditional art which has taken the name of Odisha and its people to the far corners of the globe. Perhaps we could do with a greater sense of pride and empathy for those artistes (performing last) who still strive to give fine expression to the aesthetic soul of Odisha. About the actual performances there were a few brilliant ones interspersed with some average to good, and some rather mediocre presentations. Odisha, being the home of Odissi and its sustenance provider, it is always a challenge for any dancer to perform here and receive accolades. A special effort has to be made to perfect the item and streamline the dancer's body language; it is this effort on the part of the dancer that gets deserved appreciation here. To that extent an Odissi dance performance in Bhubaneswar - Cuttack is little more demanding than other centres in India and abroad. After all, many gurus live here and their senior students who know the intricacies of Odissi, flock to the local classical Odissi shows. Aspiring dancers need to make that special effort. Another incomprehensible conundrum was the expressed opinion by a small section of senior Odissi personalities that a certain Guru's style was not represented satisfactorily in the above mentioned festivals. It should be crystal clear to even the commoner that an important festival would always aim to showcase the best possible talent. If a particular Guru's representatives were prominent by their absence, it would certainly point to an absence of requisite talent available contemporarily in the 'STYLE.' It is very easy to fling acquisitions at a festival for not being fair, democratic, and properly representational in a meet of this kind. The aggrieved should perhaps position a mirror in front of their own gharana, which would accurately reflect the current state of affairs in that particular 'STYLE'! Yet another intriguing trend was the dangling pieces of coloured strings suspended from the dancer's bahutis (arm band / bajuband). This unnecessary and alien accoutrement served primarily in distracting the serious viewer; the clarity and subtlety of the typical arm movements were unnecessarily marred by these strange embellishments. Neo classical Odissi can certainly do without these desperate and radical ornamentations. It is strange irony that the multitude of festivals featuring Odissi in Bhubaneswar and Cuttack merely served to highlight the lack of quality, merely served to highlight the mediocrity in the aesthetics department. The irony is that when the multiplicity of platforms should be augmenting the stature of the traditional art form, the profusion of Odissi presentations actually succeeds in adding unacceptable quantities of brackish water to milk. No review of classical dance and music in Odisha is complete without a word about the photo-journalists that cover such events. It would be no exaggeration to state that the so called 'Media persons' have transformed themselves into an insensitive and uncouth variety of paparazzi. More than any other factor, it is these crude gentlemen (and now a few ladies too) who cheerfully destroy the aesthetic ambience that the dancers strive to create. From left and right of the stage they cheerfully swarm into positions right in front of the audience's line of sight; no amount of pleading by the onlookers has any effect on their lens-driven frenzy. That this swarm of news vendors has been tolerated for so long is only a sad pointer to the exaggerated importance that the artistes' community, by and large, pays to this unruly, loud and vindictive flock who represent the print and the television media. This column has been critical of their rambunctiousness in the past: this column will continue to criticize their antics in the future, until their bosses see the light of day. All this is especially true of the photo journos, and the TV Channel interviewers who ask, imprudently, the name of the artistes whose performances they have just witnessed! One wonders who their attention actually is focused upon! These two festivals reviewed by us are here to stay. We wish them a long innings and we wish them success in the coming years - this ought to be the duty of any objective and well intentioned reviewer. It is also the responsibility of a serious reviewer to urge classical event promoters to pay some attention to the bits of healthy criticism that come their way. Any factor which works for a feasible and sensible promotion of neo classical Odissi, is always welcome.